The Canada Institute of Linguistics (CanIL) integrates scholarship with linguistics in service to language communities worldwide. We provide a wide range of applied linguistics training with specialties in descriptive linguistics, language survey, Bible translation, orthography development, literacy development, and language documentation. The majority of our faculty and staff have had firsthand experience serving in minority language communities around the world, and several maintain regular interaction with minority language communities. Class sizes are normally 15 – 30 students, providing for optimal communication and learning. Staff and students interact frequently outside the classroom, mutually fostering a rich community of living and learning. We are committed to mentoring and educating our students to train in a variety of linguistic and cultural contexts through teaching assistant positions and research opportunities. 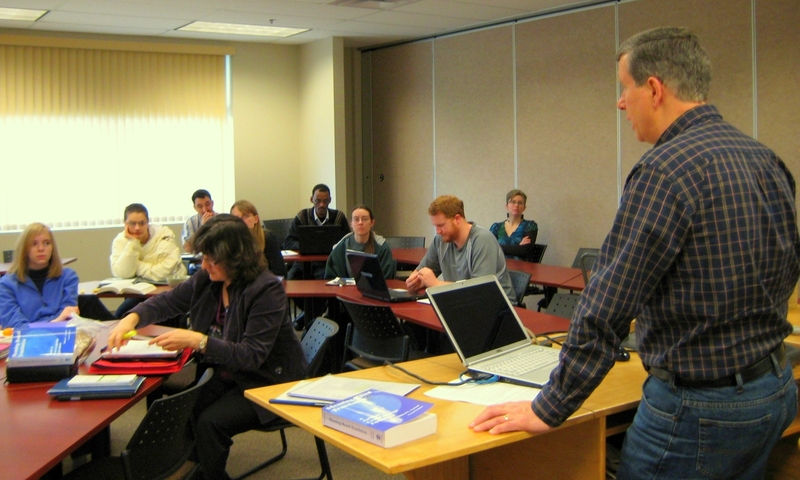 Bachelor’s degrees with a major or minor in linguistics offered through Trinity Western University (BC), Tyndale University (ON), and a number of other partner schools. 8 short-term training tracks that can be completed in 2 – 4 semesters in preparation for initial field work with many mission agencies and other cross-cultural organizations. Master of Arts in Linguistics and Translation through ACTS Seminaries (on the campus of TWU). Intensive summer program with reduced tuition. For first-time students interested in training tracks or graduate degrees, we highly recommend attending the summer session for optimal course sequencing (and taking advantage of the nearby ocean and mountains with great summer weather!). The Canada Institute of Linguistics (CanIL) integrates scholarship in linguistics with service to language communities worldwide. © 2017 CanIL - All rights reserved.